Vanquish Products released a new Servo Mount (top picture), and a new Servo Clamp (bottom picture) for the Axial SCX10 or Wraith. The Servo Mount and Clamp come in two colors: Black and Silver. 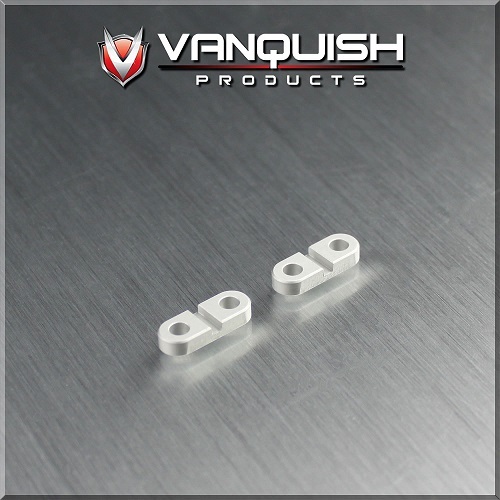 Part numbers for the Servo Mount are: Black (VPS06931) and Silver (VPS06930). 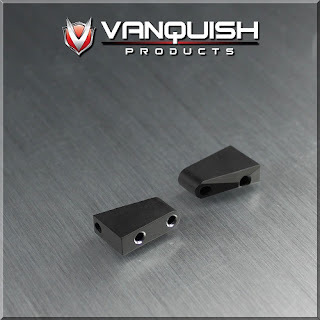 Part number for the Servo Clamp are: Black (VPS06933) and Silver (VPS06932).